I know, it’s probably premature to talk about what President (Hillary) Clinton could or should do. Poll aggregates currently estimate about an 88% chance of her winning the election, but you don’t need to be a political scientist to know that that’s far from guaranteed. A lot can happen in the next two and a half months, and we haven’t seen Clinton and Donald Trump debate yet. But barring a major shift, Clinton will likely prevail in November. If she wins handily, by a margin of even 10%, and if there’s a big turnout of the electorate (60% turnout is actually considered high in this country), then Clinton can say that she’s earned a “mandate.” But as the New York Times asked on Monday, what exactly will that mandate be for? Thomas Frank argues in the Guardian that, as Trump’s campaign nosedives, Clinton need only campaign against him, rather than for a progressive agenda. What Clinton says in her speeches and whom she highlights as her top advisors and endorsers is at least as good a sign of what’s to come as her official platform. In any case, many voters as well as observers abroad pay close attention to her policy positions and campaign promises, and they want action, not just rhetoric. As noted by the LA Times and the Atlantic, political-science research shows that promises made during this phase of the campaign often get followed up on later (with mixed results). Here are a few in particular I’m hoping she follows through on. Clinton will be able to make progress on many of these even if the Congress becomes gridlocked. Reliable support for agencies like NASA, National Science Foundation, and National Institutes of Health will ensure that scientists can continue developing big long-term ideas and research programs, as well as education and public outreach programs to accompany them. Without that, we won’t have more “moonshots” and we won’t send astronauts to Mars. And I hope Clinton backs up all scientists, including those whose work has been unfairly attacked, like social scientists and ocean and geoscientists studying climate change. 2. Climate change has emerged as one of the biggest threats of our generation. Obama waited until his second term to take action on climate change, and Clinton should not do the same. She could begin by implementing and buttressing Obama’s Clean Power Plan, as she has pledged to do. But with this alone, our country’s greenhouse gas emissions will continue to increase, albeit at a slower rate. The Clinton administration also should actively work toward meeting the pledge made at the Paris climate conference, putting the U.S. on a path to cut emissions by more than 80% by 2050. The Clinton campaign has a lot of great ideas on her platform, and I hope her administration strives to realize them. But without stronger measures, especially a carbon tax, I don’t see how we’ll reach our climate goals and make our emission reductions. It’s not enough. Clinton has so far rejected a carbon tax, but I hope she reconsiders it. From what I can tell, it could be more effective than a cap-and-trade program. She (and we) should acknowledge that, fossil fuel production are not part of the solution, and shifting our economy to other energy sources will be a challenging process. 3. Clinton has made increasing federal funding for infrastructure (by $275 billion over five years) a big part of her campaign. This is an excellent idea with broad public support. Roads, bridges, waterways, public transit and broadband internet need maintenance throughout the country, and they’ll create many jobs. Clinton has mentioned clean energy infrastructure as well, and I hope she expands on that, maybe even adopting parts of the Green New Deal advocated by the Green Party. (If she were to do so, she might win over some potential Jill Stein voters and disaffected Bernie Sanders supporters.) The rapid rise in oil and gas production in the U.S. is unsustainable and needs to be reversed. Instead, heavily investing in R&D on wind and solar power will enable them to satisfy a much larger part of our energy demand while creating many more “green jobs.” Germany has shown that this is possible. Clinton has also spoken of extending energy efficiency standards, and this will be important, too. Improving fuel efficiency requirements of cars and trucks (which is already happening) will help, and I think expanding bus and train systems and making our city streets more bike- and pedestrian-friendly will have a huge impact as well. 4. College debt plagues millions of students around the country, and the problem’s getting worse. Clinton said, “for families making less than $125,000 a year, we will eliminate tuition” for in-state students at public colleges. This campaign pledge, influenced by Sanders’s campaign, could be tough to fulfill but would go a long way toward relieving the next generation of college students of this burden and helping them get their careers off to a good start. 5. Wages of most American workers have been stagnant for the past 40 years. Clinton calls for raising the minimum wage, and I applaud that. But her target of $12 per hour isn’t enough. If she joined the “Fight for $15” movement—most of whose members are probably voting for her—and if she made sure that future minimum wage adjustments would follow inflation, that would help many people even more. Her platform says that “she will provide relief from the rising costs of necessities like child care and housing.” These both affect many middle and working class American families, and I hope Clinton fulfills this promise too. 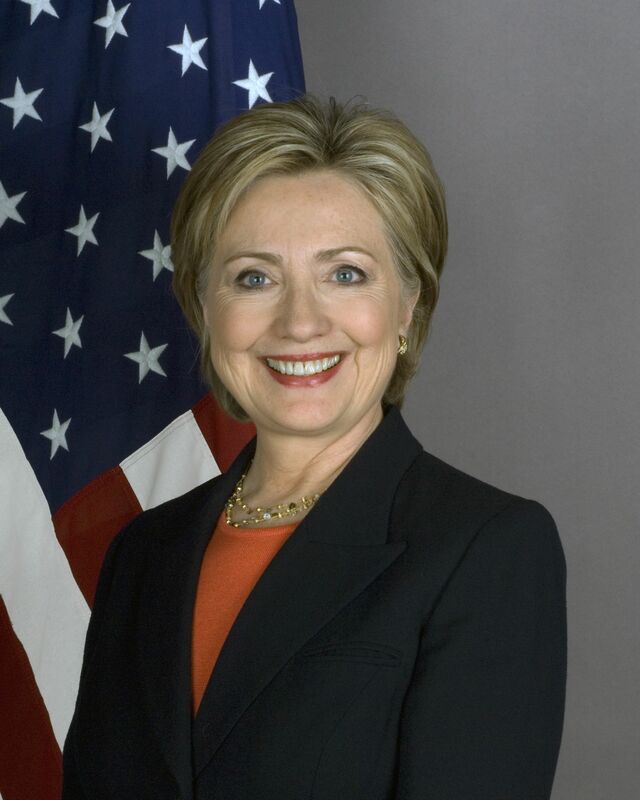 Clinton has expressed support for labor and worker’s rights, and she was a co-sponsor of the Employee Free Choice Act, giving workers the freedom to form a union of they wish, which didn’t pass during Obama’s first term. Considering how the labor movement is coming out in force in support of Clinton’s presidential campaign, she at least owes them this. I hope that she stands by her opposition to the Trans-Pacific Partnership too (Terry McAuliffe‘s comments notwithstanding). Finally, equal rights for women has been an important part of her campaign, too. The Paycheck Fairness Act, which addresses the gender pay gap by making wages more transparent, among other things, would be a good start. I hope she continues her advocacy for paid leave too, and I hope that she takes steps toward a federal policy requiring employers to have paid maternal and paternal leave. 6. Other issues I don’t have space for. There’s comprehensive immigration reform (including end family detention and closing private detention centers), which she has said will be one of her top priorities during the first 100 days of her presidency. She has also spoken about expanding affordable health care and making a ‘public option’ possible. Clinton vowed to push for a constitutional amendment to overturn Citizen United. If that fails, surely there are other ways to reduce the influence of wealthy donors and legions of lobbyists, or at least to increase transparency. If you have thoughts about any of these points, or if there are issues or policies you’d add to the list, I’m happy to hear them. The point is that we focus on what we’d like to work toward rather than who we’re voting against.